The Governance and Sustainability Lab at Trier University (Germany) is inviting applications for its 2017 Summer University, which will take place June 6-12, 2017. Applications are invited from advanced doctoral students and postdoctoral researchers as well as from early career professionals working in geography, urban studies, urban planning, political science, international relations, development studies, gender studies, native studies, cultural studies, sociology, ecology and related fields. Participants will explore the theme of ‘decolonizing urbanism’ through a mixture of public lectures, seminar sessions, advanced skills trainings, excursions, and cultural activities. The Summer University will be held in English. Deadline for applications is January 31, 2017. This entry was posted in Call for Applications and tagged Antje Bruns, call for applications, governance, sustainability, Trier University on December 21, 2016 by Mark. This entry was posted in Call for Applications, Employment and tagged employment, executive director, Future Earth on December 21, 2016 by Mark. Applications are now being accepted for the fourth Graduate Student Workshop on Socio-Environmental Synthesis, hosted by the National Socio-Environmental Synthesis Center (SESYNC) in Annapolis, Maryland from March 7-10, 2017. As part of this highly interactive workshop, graduate students from across disciplines and from around the world will participate in sessions and activities designed to encourage interdisciplinary collaboration, team formation, and scientific proposal development while also building a variety of other skills and best practices crucial to the success of socio-environmental synthesis, including team leadership, effective communication, and familiarity with diverse data types. First and second-year doctoral students from social, natural, and computational sciences with strong interests in and potential for synthesis-based research are encouraged to apply by January 13, 2017. There is no cost to attend the Workshop, although space is limited. Please visit the Workshop’s opportunity page for more information and to learn more about other graduate-oriented research opportunities supported by SESYNC. This entry was posted in Call for Applications and tagged Graduate student opportunity, sesync, socio-environmental synthesis on December 8, 2016 by Mark. The National Social-Environmental Synthesis Center (SESYNC) in Annapolis, Maryland invites applications for a Postdoctoral Fellow to work with a newly funded interdisciplinary team to develop and test a comprehensive, systematic framework to understand the dynamic social, economic, and environmental feedbacks that perpetuate segregated urban patterns over the long term. This framework will be tested by examining the City of Baltimore as a case study, working in collaboration with the Baltimore Ecosystem Study (BES), a long term research project of the National Science Foundation. The Fellow will work with a team of mentors from the social and ecological sciences who are associated with SESYNC and BES. While there has been enormous progress in our understanding of urban environmental inequality and injustice, this program seeks to specifically examine the role of segregation in processes of social-ecological change, sustainability, and resilience. This project will advance understanding of: the long term ecological consequences of urban segregation; how ecological disparities may perpetuate segregation; and how socio-environmental strategies may remediate patterns and conditions of segregation and promote sustainability and resilience. This is a 24-month position that can begin as early as December 1, 2016 and is based at the SESYNC offices in Annapolis MD, with one mentor at SESYNC (Morgan Grove) and mentors from the Cary Institute of Ecosystem Studies (Steward Pickett), Dartmouth College (Laura Ogden) and Arizona State University (Chris Boone). The Fellow will also be a full participant in SESYNC’s postdoctoral Immersion mentoring program (http://www.sesync.org/foryou/ educator/programs/immersion) and interact with a large group of current postdocs at the Center. TO APPLY: Preference will be given to applications received by January 1, 2017 at 5pm EST. Please submit a cover letter, CV, and two writing samples as a single pdf at: http://sesync.us/postdocurban, and have two professional references submit letters to Dr. Morgan Grove at: morgangrove@fs.fed.us or mgrove@sesync.org. This entry was posted in Employment, Funding Opportunities and tagged Baltimore Long-Term Ecological Research, Postdoctoral fellowship, sesync on December 2, 2016 by Mark. 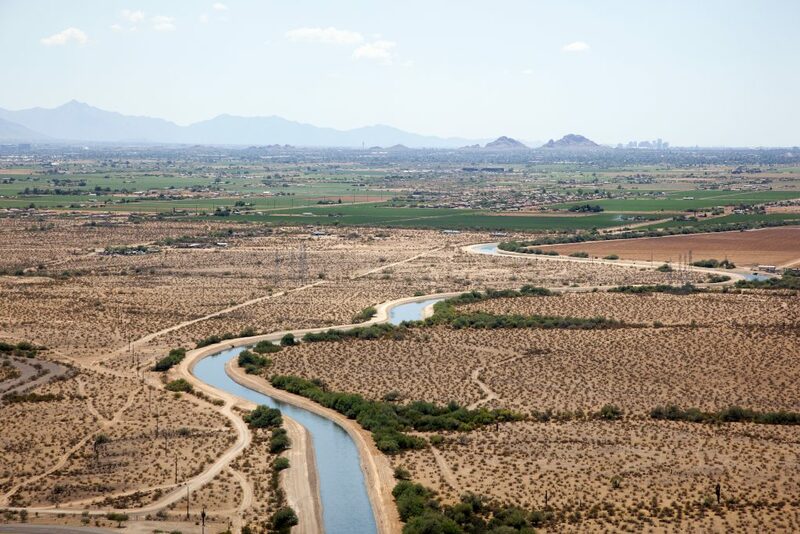 The Julie Ann Wrigley Global Institute of Sustainability at Arizona State University invites applications for a full-time Central Arizona-Phoenix Long-Term Ecological Research Program (CAP LTER) Program Manager. The Program Manager and the Julie Ann Wrigley Global Institute of Sustainability (ASU Wrigley Institute) will work with the CAP LTER Director, program staff, scientists, and students to facilitate coordination and collaboration across the program, communicate research findings via various media, and compile annual reports for the National Science Foundation and the ASU Wrigley Institute. Will be responsible for the fiscal management of CAP LTER with the Director and staff as well as for the management of CAP LTER’s undergraduate and graduate research funding initiatives. Will liaise with other research initiatives and community partners, organize events and meetings, track key program metrics, and handle day-to-day administrative operations. For details on the CAP LTER Program see: https://sustainability.asu.edu/caplter/. To review the posting and apply to this position, please visit: https://cfo.asu.edu/hr-applicant and click on Applicant under Staff Positions. Search openings for Requisition ID number 27270BR. This entry was posted in Employment and tagged Arizona State University, CAP LTER, Central Arizona-Phoenix Long-Term Ecological Research Program, employment on October 27, 2016 by Mark. One or two faculty members (open rank) levels in ecological sciences, environmental, mechanical, or sustainability engineering, or environmental health related fields focused on sustainable agricultural systems. One or two faculty members (open rank) in systems engineering, environmental management, resource conservation, process modeling, and life-cycle analysis in the context of optimal development and management of agriculture to balance crop production, food processing, community development, ecosystems and human health. This entry was posted in Employment and tagged employment, Pennsylvania State University, University of Californa - Merced, University of California - Davis, University of Colorado - Boulder, University of Illinois on September 20, 2016 by Mark. The Texas A&M University Department of Geography invites applications for three (3) tenure-track faculty positions at the Assistant Professor level. The department is reinvesting in its human geography program by hiring leading-edge scholars with research specializations in urban, health, economic or human-environment geography. Combinations of research expertise among these specialties are encouraged as well as is their integration with geospatial technologies. Essential characteristics include publications commensurate with experience; demonstrated capability to secure external funding; ability to contribute to GIS research and teaching; and the ability to strengthen the graduate program in Geography through course offerings and mentoring students. Candidates should have the potential for creating synergies with existing Department strengths, must have a Ph.D. at the time of appointment and a have strong commitment to excellence in research and teaching. This entry was posted in Employment and tagged Assistant Professor, employment, Texas A&M on September 6, 2016 by Mark. 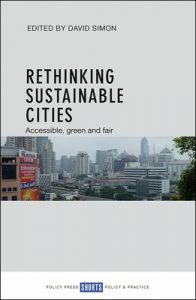 This entry was posted in publications and tagged david simon, edited book, mistra urban futures, sustainable cities on September 1, 2016 by Mark.